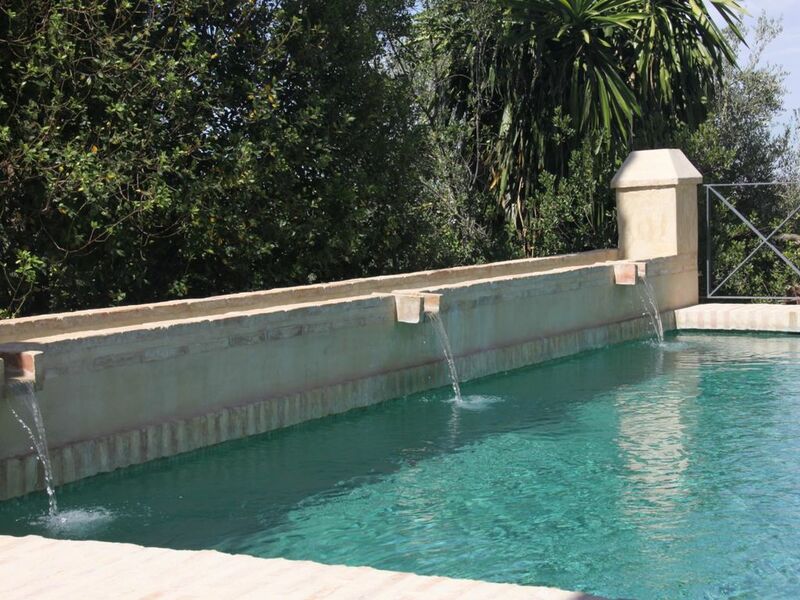 A super property located half an hour from Seville. It was immaculate and everything we needed for a family of six was provided. Whilst quiet and very private, it was only 10 mins walk to Sanlucar la Mayor. We enjoyed visits to Seville, the flamenco is a must! Lovely beaches could be found just over an hour away in Islantilla and Isla Cristina. An hour half away and we found ourselves in Cadiz, which was fabulous. Rosario, who met us in Sanlucar and directed us to the villa couldn't have been more helpful and despite language barriers she provided us with lots of local information. A lovely, traditional Spanish property, in large, well-stocked grounds. Beautifully and traditionally decorated and extremely well equipped and maintained. Excellent, very comfortable accommodation, and the pool was great. Very peaceful and relaxing, with far-reaching views. Owner and manager easily contactable at any time and very friendly and helpful. Walking distance into town and only a short drive into Seville. Highly recommend staying here. L espace et la vue dégagée sont très apaisants. Merci à Rosario qui nous a accompagnés avant et pendant notre séjour. Tout pour un excellent séjour ! Nous avons adoré notre séjour à deux familles dans cette maison de Sanlucar pour son charme, ses beaux espaces extérieurs, son calme, ses commodités et aussi pour son emplacement, idéal pour visiter Séville ou explorer la côté Atlantique. Un grand merci à Rosario et à Rafael pour leur chaleureux et sympathique accueil ! Wij hebben een prachtig vakantie gehad in dit huis. Een authentiek Spaans ingericht huis met veel faciliteiten. Goede en zeer vriendelijke communicatie met de huiseigenaar. Prachtige tuin in een goed afgescheiden privé omgeving. Veel te doen in de omgeving op een goed berijdbare afstanden. Dus alle ingrediënten aanwezig voor een top vakantie! !